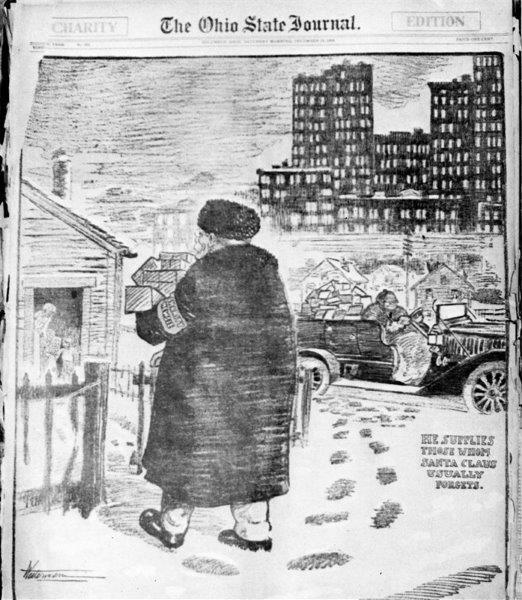 On a cold winter’s day in 1907, a group of three men sat in a restaurant at the corner of Broad and High in downtown Columbus and watched a boy, dressed in clothing insufficient for the weather, standing on the corner trying to sell newspapers. “Get your papers!” he cried to passers-by, but he was ignored. The men came outside, took the boy’s remaining newspapers, and sent him into the warm restaurant. “Get your papers! It’s for charity!” they added to the sales pitch. They sold the rest of the remaining papers for as much as they could, and sent the boy home with enough excess money to buy new clothing. And an idea was born. Since then, volunteers have taken to street corners of Central Ohio and sold special editions of the newspaper for the sole purpose of helping to clothe underprivileged schoolchildren in Central Ohio, with 100% of the proceeds of the paper drive going directly to this mission. And inasmuch as the world has changed in countless ways since the early 1900’s, the need remains the same. The second Saturday and December, hundreds of volunteer Newsies hit the streets of Columbus to sell special edition newspapers with 100% of every cent donated, going towards clothing children in Franklin County. 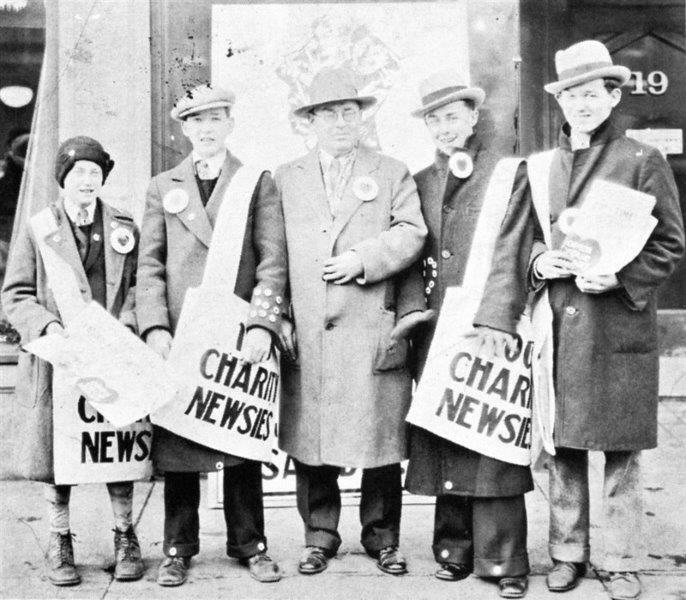 Although Charity Newsies is most recognized for the annual newspaper drive, Charity Newsies is a year-round charitable enterprise. Members volunteer more than 15,000 hours annually helping families fill out applications and scheduling families for their children’s clothing appointments at Newsies’ headquarters. 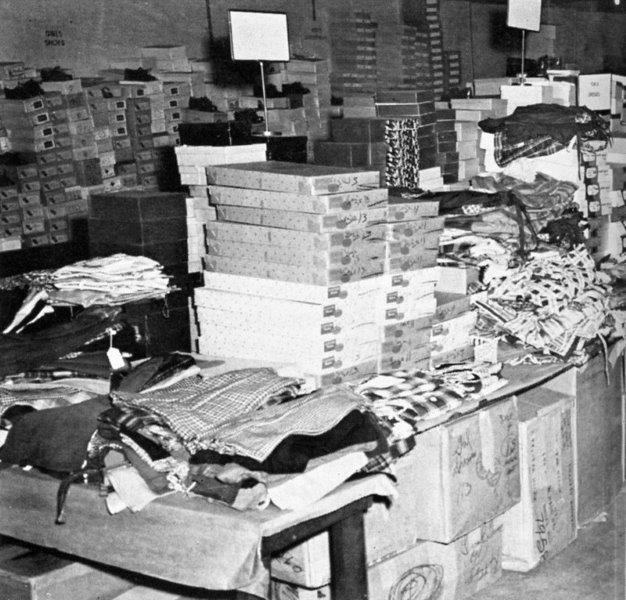 Members also staff the storeroom and warehouse, which must be kept highly organized, enabling the Newsies to outfit up to 200 children per day. 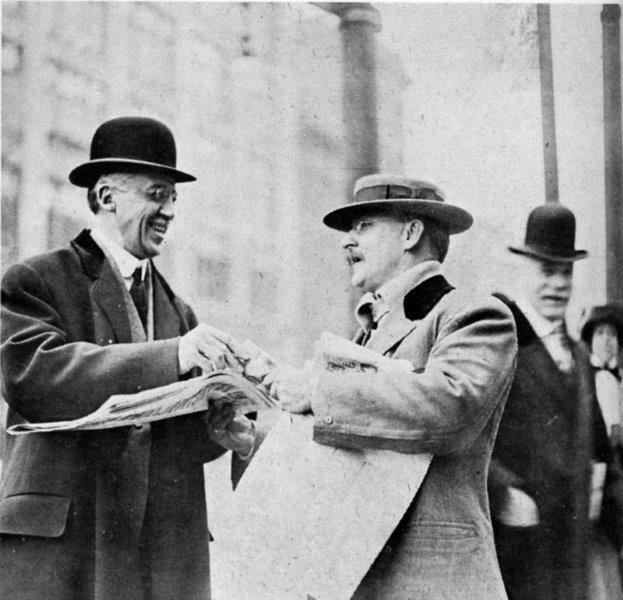 In 1907, the year of the first Paper Drive, 50 volunteers raised over $700. Since then, Charity Newsies has expanded its fundraising activities to include an annual newspaper auction and gala and smaller fundraisers at parades and other events in Central Ohio throughout the year. For the 2017-2018 school year, over 12,000 children received new school clothing through our work.